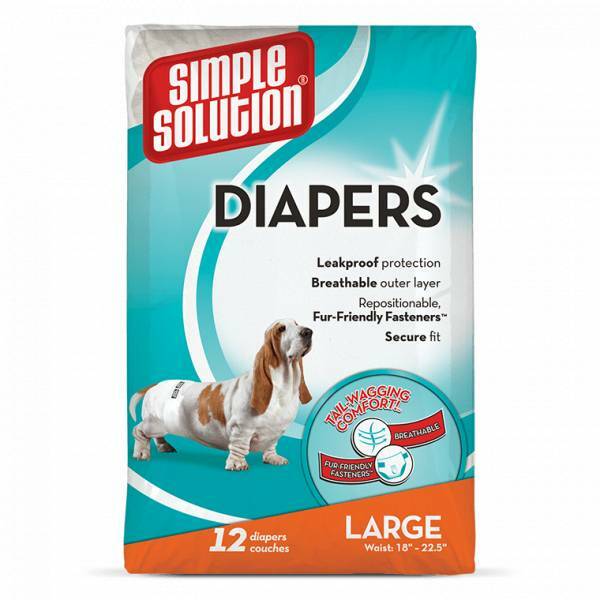 Simple Solution Disposable Diapers for dogs help provide leakproof protection and eliminate dog urine messes. Each diaper features a tail hole, repositionable fur-friendly fasteners and a comfort leg fit to give your dog a secure fit every time. Ideal for dogs with urinary incontinence, females in heat, and excitable urination. 12 diapers per package.